I was raised on Andy Williams, Bing Crosby, and Mitch Miller during the holidays, and the Christmas classics from artists like these are still my favorites this time of year. I posted my Thanksgiving playlist last month, and it seemed to be enjoyed by a lot of you out there, so I'm going to keep the playlists coming throughout the month of December. These are just a few of my all-time favorite classics. I'm sure you have yours as well. I know I've said this over and over, but I absolutely love what music can do! I don't ever feel like I'm in the complete Christmas spirit without music playing in the background. I have music going on my computer when I'm blogging, it's on the radio in my car when I'm driving, and I even put these songs on my iPhone and walk around with Christmas songs in my pocket. A bit crazy, I know. I can't help it. I LOVE music! If you have a Spotify account (it's free) you can access my playlist. If you don't you can look up the songs on iTunes or anywhere else. My list is longer than what appears here (you only see half of them), so if you can use Spotify, then you'll be able to see the list in its entirety. 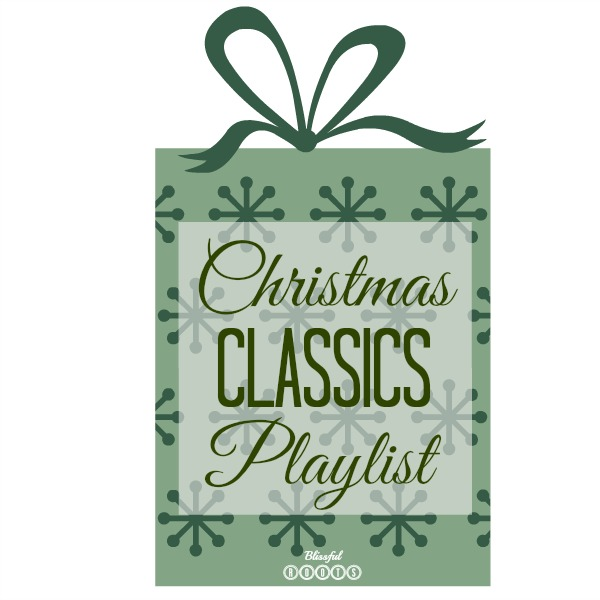 What are your favorite Christmas classics? As always, I love suggestions to add to my lists. Don't forget to stop in next Monday for my instrument Christmas playlist.